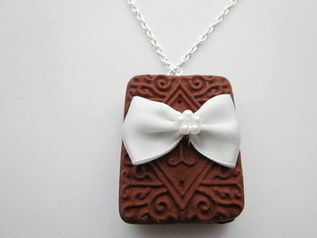 Fun quirky handmade chocolate Custard Cream Biscuit made from polymer clay with a satin bow on the front. Chain is silver plated and 18in. * Not suitable for children. This item is not eatable.